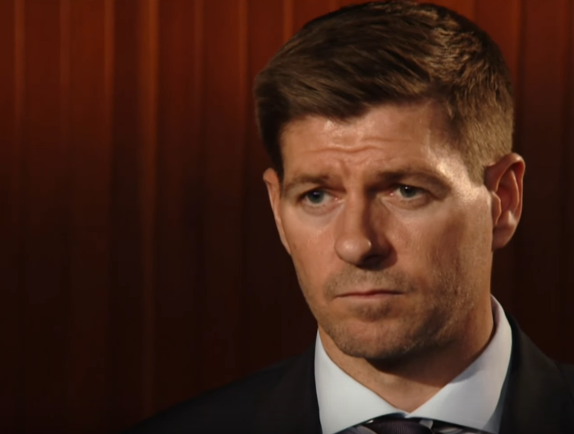 New Rangers manager Steven Gerrard has admitted he watched the final matches of the season to assess the squad ad-hoc but that everyone will get a clean slate with him and the wholesale changes expected by many may not materialise to the dramatic effect anticipated. Gerrard, 37, has been linked with a tonne of new players over the past couple of weeks, with Scott Arfield already signed up for four years, but the new boss of Govan has put down the gauntlet to existing players to prove themselves to him. Whether this will actually materialise is another matter given the evident poverty in the squad – there are evidently a lot of players simply not good enough for the club band we doubt Pep Guardiola could do any better than Steven Gerrard at turning Eduardo Herrera into a player. But nevertheless, Gerrard is being fair, and giving everyone a chance. I do wish IN would stop insulting the players...they were signed by previous managers.If they are not good enough that's the fault of management and scouting. Herrera is a Mexican international, light years away from what any of us on this site will ever achieve in sport. Maybe Gerrard will make him a player? Maybe he'll leave like others, but he like others doesn't deserve petty snide swipes at their ability. No professional footballer wants to lose. Every player needs to prove themselves we have had a piss poor season by everyone standards we had turmoil we are the laughing stock of scotish football we must change it by returning early to training in prep for europa league and the Forth coming season we need to challenge our oldest rivals so come on stevie don't do as your predecessor's did and upset a winning team for the sake of it we should evaluate every match in the same way we can win so I must put my strongest eleven players on the park not just their egos we can challenge all as long as we no we can win and go in to every game with a winning mentality not a defeatist attitude as we have for the past two seasons stevie you've the fans behind you just don't make rash decisions just make the right decisions for the right reasons play the right players in the right positions in the right matches it's also time to shake of any dead weight that don't cut it . It is not the players fault bt you pays your money your entitled to a opinion on the players ability, and ability wise the player you mention Herrera would struggle to be a 1st pick in any spfl team ,never mind rangers . We'll never win anything with the "keep" players you listed. There is hardly a "Keep" player worth keeping. Maybe for Benburb but not Glasgow Rangers. I assume the only reason you suggest selling Tav is the fee he'd command. By a country mile he's been our best player this season - as he showed yestersay. I would definitely keep him unless someone offered +£6M! How can you KEEP Morelos?? He's goal-allergic and if the Chinese still want him, a source of much needed funds. He's just not interested in being at Ibrox, he hates the cold and although he gets into good positions, he rarely capitalises on them. We need strikers who know where the back of the net, is. He has not shown any promise. He needs to go. We don't want to start NEXT season, with the same old dross. That is NOT, winning ways, but on a hiding to nothing. TheStevo926 - was reading with interest up until you said Halliday - keep... Really?